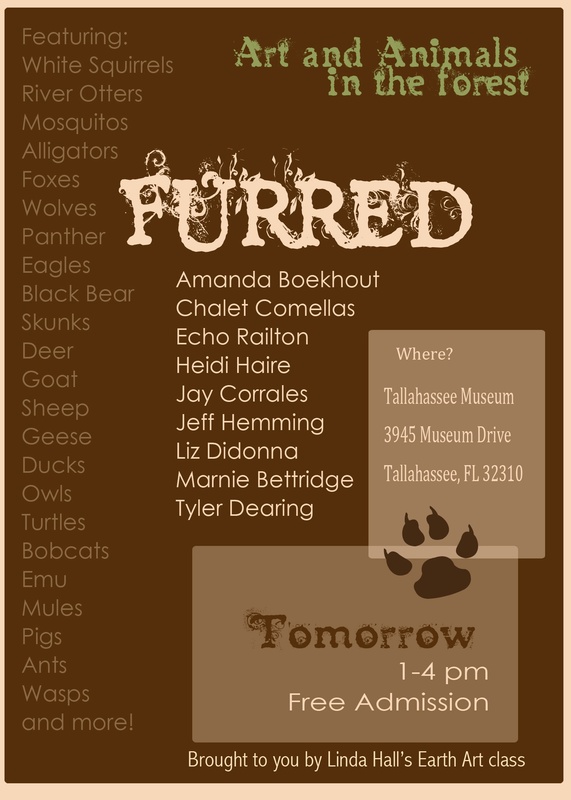 “Furred or Furless”, an exhibition of installation and performance by nine artists from Earth/Art Graduate workshop is happening at The Tallahassee Museum of History and Natural Science on Tuesday December 13th. The works will be displayed throughout the grounds from 1-4pm. Entrance is free for those coming to see the works. Pigs Ants Wasps … and more!